How can I recover from a poor credit history? “We’ll have to run your credit report.” These words can sound downright horrifying. After all, your credit report contains a seven year history of your debts and bill payments; even longer for bankruptcies and tax liens. To avoid digging yourself into a deeper hole, follow this step-by-step process we’ve created for you. You can also use www.annualcreditreport.com to get a free report every year. Verify all pertinent information is correct including your name, current address, social security number, credit accounts, etc. Mark anything that looks suspicious or that you do not recognize. Make a dispute with the bureaus to correct inaccurate information. If you’re having trouble making a payment, do NOT skip a month. This can count against you even if you make a “double payment” the following month. Never charge more than 30% of the credit limit on any card. Maxing out card limits, or even approaching the limits signals to credit bureaus that you may be getting in trouble again. Closing old accounts may hurt your credit history; so can opening new ones. Ideally, you want at least 3 trade-lines open at all times. Cut up unwanted cards or put them in a drawer; but don’t close the accounts. Also, avoid temptations of opening new accounts to save on that day’s purchase. It’s likely not worth the hit to your credit. 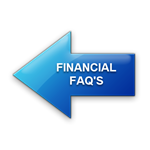 This will help you assess your payment history and ensure no false information is being placed on your file. Exchange credit reports with your future spouse. This information can be very important for your family’s future purchasing goals. We’ve seen many marital problems arise from spouses hiding credit and debt info from each other.